The biggest tournament for cricket fans is fast approaching. That’s right the World Cup is almost here. The tournament will span a month and a half beginning this coming spring. Inquisitive minds want to know the 2019 Cricket World Cup schedule. You’ve come to the right place. The next ICC Cricket World Cup begins on Thursday May 30, 2019 between England and South Africa. Cricket fans and bettors around the world will get to see the best batsmen and hurlers on the planet represent their countries in a tournament that happens only once every four years. It’s never too early to start planning which round-robin matches will require a full day in front of the television. We’ve put together the full round-robin schedule, the dates of the knockout stage, the semifinals and final of the 2019 ICC Cricket World Cup. Where is the Cricket World Cup being played? The 2019 Cricket World Cup will take place in England and Wales. There are 11 venues in total with Cardiff being the only representative for the Welsh, while in England, there will be games at Taunton, Old Trafford, Trent Bridge, Edgbaston, The Oval, Bristol, Durham, Southampton, Headingley and at Lord’s. India bettors will be happy to know their national team is among the bookmakers’ top choices to win the Cricket World Cup. When are India’s round round matches? What is the rest of the round robin Cricket World Cup schedule? When are the knockout stages for the 2019 Cricket World Cup scheduled? 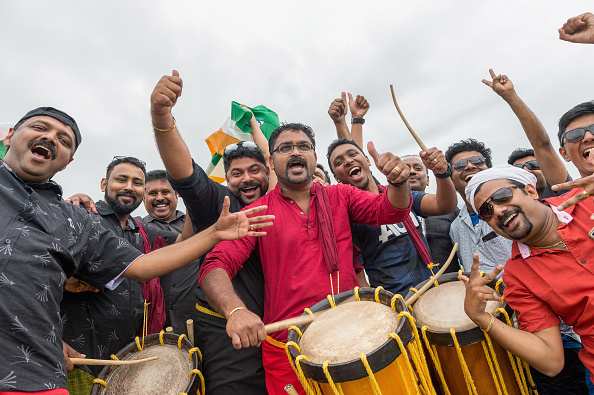 The round-robin stage of the Cricket World Cup 2019 offers an action-packed few weeks, with at least one game being played every day between May 30 and July 6. Once it’s complete, the four teams at the top of the table will go straight through to the semi-finals and the remaining teams will be eliminated. What is the date for the 2019 Cricket World Cup final? The winners of the two semi-finals will proceed to the ICC Cricket World Cup final. This will take place at Lord’s on Sunday July 14 and, once again, the match will start at 10:30 BST. The Lord’s ground in North West London is still seen by many as the home of cricket and, to date, has held all of the men’s showpiece finals going all the way back to the first Cricket World Cup in 1975. Most of the overseas teams will be familiar with the ground and with English conditions. 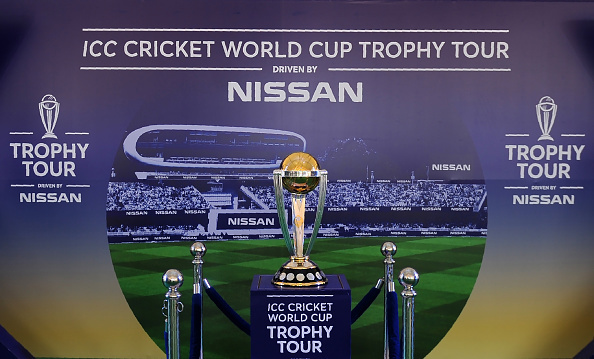 The British are definite favourites for the win, but the Cricket World Cup 2019 looks to be a very open competition with a number of countries in contention to lift the trophy. What are the best ways to stream the 2019 ICC Cricket World Cup? There are many ways to watch the live action for those who don’t have cable. For a huge event such as this, the biggest sportsbooks will be looking to provide a live streaming service to their customers. People who have betting accounts with the likes of Betway, bet365 and Betrally should look here. Other bookmakers may also offer this facility, but do check the rules regarding access. Some operators will simply ask that you have a funded account, while others will require a bet on the game in question before live streaming is made available. Other services may also be geo-specific but, in general, if a bookmaker is open to taking customers from India then they should allow those account holders to watch live streaming of the World Cup. For those who intend to watch via an iPhone, Android or other mobile device, please check system requirements and we always recommend downloading the latest update for the best chance of guaranteeing coverage. For those whose bookmaker doesn’t offer an option to watch live cricket, there are dedicated streaming services. Many are based in India and targeted specifically at Indian sports fans. A quick Google search will bring up a number of options and for a big event such as the cricket World Cup 2019, there will be lots of choice. There will be no problem in terms of finding a provider but it is important to pick the right service. Most, if not all of these, will require a subscription. Look for a trial to check on sound quality and clarity of picture. Also, if you are keen to watch the complete cricket World Cup schedule, then check to see if that service is showing games such as Afghanistan v Bangladesh as well as the huge clashes between India and Pakistan, England v Australia, etc. The better option is to watch live streaming via a bookmaker as for many operators. Live streaming is all part of the overall service, so consider getting a funded account if you haven’t already signed up. What Indian TV networks will be airing the cricket World Cup matches? The International Cricket Council (ICC) signed an exclusive deal between certain broadcasters across the world for the rights to show sanctioned ICC events from 2015 right through to 2023. For most Indian viewers, this means tuning in to Star Sports who will be a familiar broadcaster to cricket fans right across the country. Star Sports has been at the forefront of cricket broadcasting for many years and this is the place to watch the complete cricket World Cup fixture list. All games will be shown, right through from the very first match between England and South Africa on May 30th, all the way to the final at Lord’s on Sunday July 14th. The coverage provided by Star Sports also extends to Bangladesh, Bhutan, The Maldives, Nepal and parts of Sri Lanka, but its main focus is on India. Therefore, this is the place to be for the ICC’s showpiece tournament in 2019. In addition, viewers of DD National will also be able to access the cricket World Cup 2019 but this will only be for matches involving India. The Supreme Court ruled in August 2018 that an interim order allowing DD National to show live telecasts of the national side should be extended to include the cricket World Cup.